It’s time for another extra-long episode of See You Next Wednesday! This week, we’re back on the Marvel wagon with the latest Fox-produced superhero film with Josh Trank’s Fantastic Four – is the controversy around this production warranted? Is it as bad as everyone says? Does Dr. Doom’s face look weird? We’ll answer these questions and more! 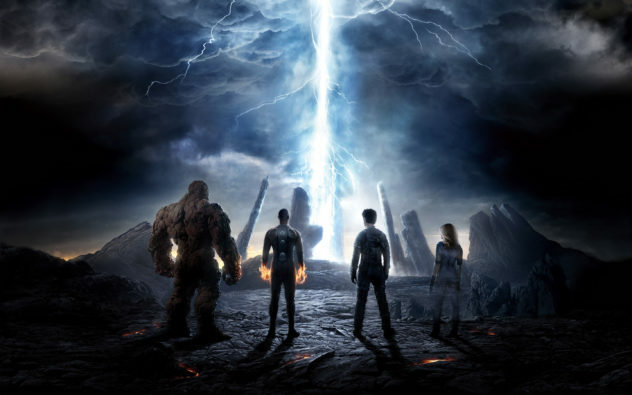 Then, Casey sits out our trip to the movies by watching the 1994 Roger Corman financed The Fantastic Four – which was rumoured to have been produced just to keep the properties’ rights. How does it stack up to the latest attempt? Casey has the answer to that one! But first, we start the show off with talk about movies we’ve been watching – including Welcome To Me, Quiet Cool, Edge of Tomorrow and more – plus we check in with Difficult People and some other assorted shows. Then we get into a gaggle of superhero topics that have made the news this week, as well as discuss why Gene Wilder‘s work and his potential return from retirement for an upcoming Steven Spielberg project. Finally, Greg has us covered in another shocking round of 9021oh Yeah Relay! where we continue our journey through Beverly Hills, 90210 Season 3! Don’t forget about our sponsor, Tweaked Audio! Check them out for all your headphone needs and enter promo code SYNWPC for 33% off plus free shipping! Do it today! Episode 22 - The X-Files: Ok, Ok, We Believe You!